Staring down a 12-camera video wall is a daunting task for anyone. With this much information and so many similar video streams all at once, identifying and responding to incidents can be hugely challenging. Cisco Meraki has just released an automatic video wall rotation solution in the dashboard. 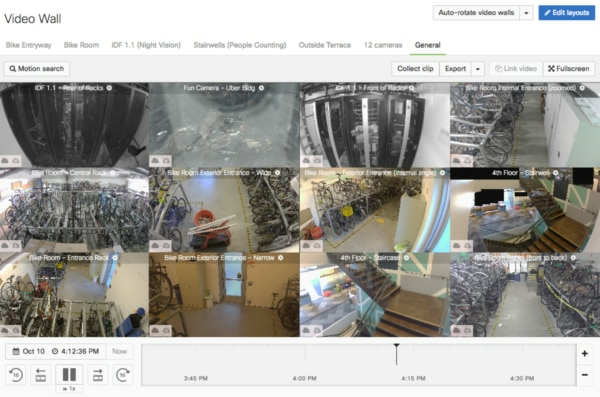 This allows users to cycle through all the video walls that are important to them over a given time interval. Aside from giving people the ability to easily view all the cameras relevant to their site, research has shown that the average person cannot effectively monitor a screen for more than 20 minutes at a time. This means that after 20 minutes of screen time without a major change to the visual, people will start to miss 95% of incidents that occur right in front of them. That’s 95% of theft, intrusions, and all else, missed entirely due to the monotony of the viewing setup. This 20-minute average only decreases if more screens are added. By giving users the ability to automatically rotate between their video walls, and add fewer video streams per wall, we’ve made a significant effort to mitigate both of these detracting factors. Configuring auto-rotating video walls is extremely simple, which means you can configure it for your organization quickly. 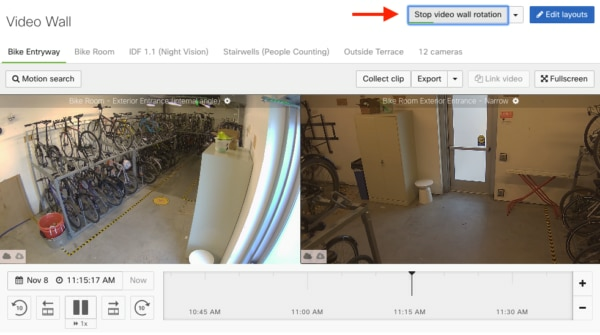 On the Meraki dashboard, navigate to Cameras > Video Wall, and select the dropdown arrow next to the “Start video wall rotation” button. 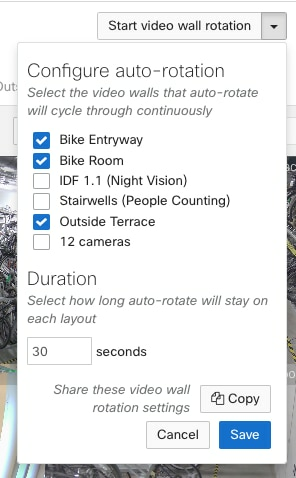 Here, you can use the checkboxes to add any of the relevant video walls into your rotation and adjust the time interval between rotations. A minimum of at least 20 seconds is recommended, to give all streams enough time to load and be observed before the next rotation begins. Once you’ve set all the parameters, press the “Save” button. Finally, click the “Start video wall rotation” button and then you’re all set! You can also toggle the video rotation as necessary, should something important come into view. Let us know how your organization is utilizing auto-rotating video walls on the Meraki Community!